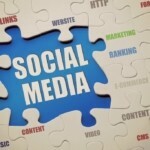 Social media has become the de facto standard in online marketing – there is no disputing that. Some aging services communities are finding that social media can play an integral role in promoting their communities, connecting residents with family members and even helping with hiring challenges. But there are challenges. Who will do it? How much time will it take? What do we talk about? What about internal and external social media policies? Generally speaking, staff within the aging services communities often times wear multiple hats and often times social media is viewed as low priority task in terms of other things that need to be done on a daily basis. It should be pointed out that having an active social media strategy in place assists with the audience engagement, outreach, business partnerships, a source of information and education, and even boosts search engine optimization for the community website to be found during Internet searches. If finding dedicated and knowledgable staff in your community who can dedicate at least 20-25% of their time solely to implementing and managing your social media presences, consider outsourcing the job. When it comes to content on social media, it is all about creating content inspired to engage and grow your audience. Inspirational quotes and images, community activities calendars, keeping family members informed, providing a communications channel between residents and staff, educating your audience on the important aspects of aging services as a whole, even posting job openings are all examples of good content. Mixing up the information keeps the audience on their toes and not thinking that everything you are going to post is all about the community itself. There is no need to constantly talk about your community, you eventually will run out of things to say. Social media internal and external policies are designed to protect the residents, staff and integrity of the conversation on social media channels. Creating an internal social media policy helps your employees understand the balance between sharing their thoughts and opinions on their own social media channels as well as the channels owned by the community and also to protect the privacy, identity and security of the residents within those communities. Creating an external social media policy helps your audience better understand what types of content, messages, comments, etc. that will be acceptable on your social media profiles. For help better understanding how social media can benefit your aging services organization, contact us today!